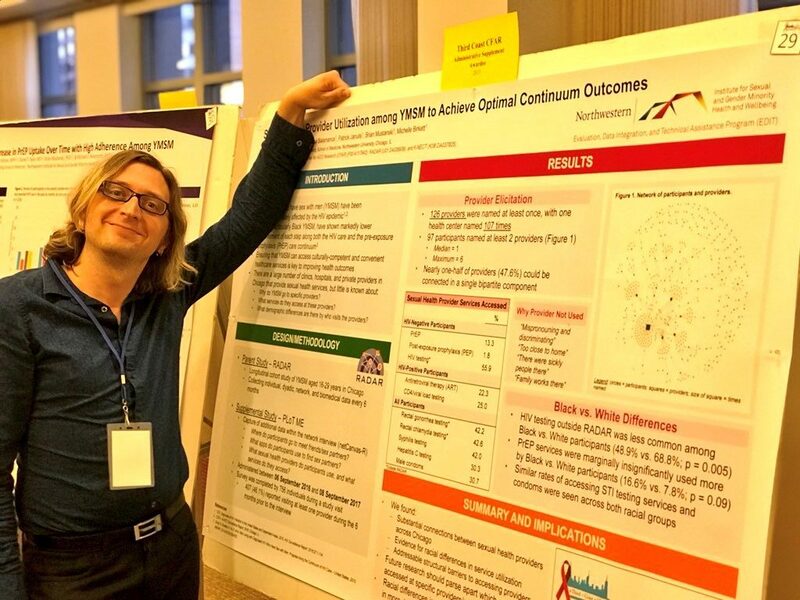 Led by director Dr. Gregory Phillips II along with associate director Dr. Lauren Beach, the Evaluation, Data Integration and Technical Assistance (EDIT) Program attempts to foster a learning community to improve the health and wellbeing of sexual and gender minority (SGM) populations in Chicago and beyond. Follow EDIT on Twitter for updates. We are a local leader in the evaluation of interventions focused on improving the health and wellbeing of sexual and gender minority individuals. We help community agencies build capacity to strategically plan and implement and evaluate innovative and culturally responsive programming that serves sexual and gender minority individuals through the provision of tailored technical assistance. 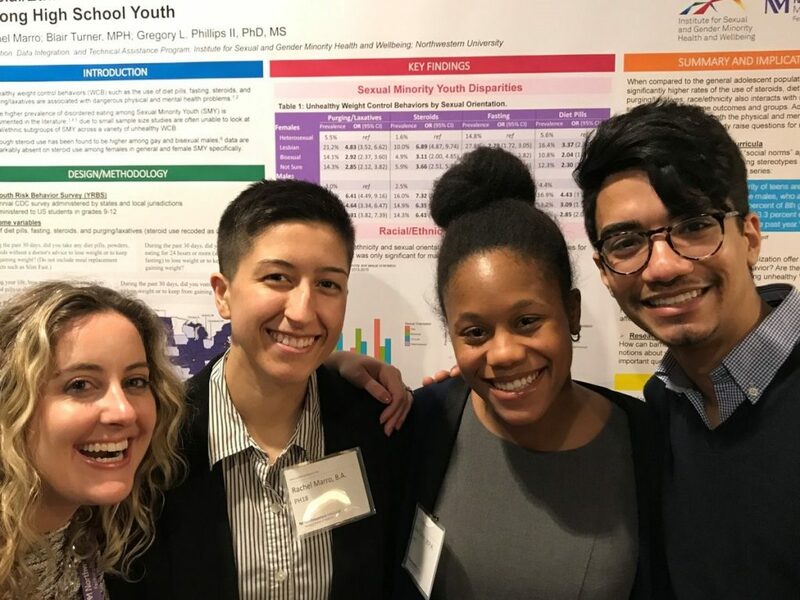 We use a wide array of data sources to enhance understanding of health disparities of sexual and gender minority individuals at a local and national level. 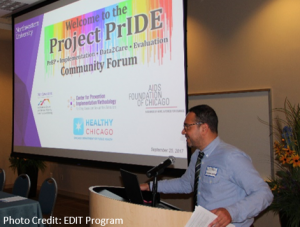 We share best practices and lessons learned from program evaluation and research studies with policymakers, funders, and service providers to improve community response to serving sexual and gender minority individuals. What is a learning focused community? A learning focused community is reflective and engages in an ongoing dialogue to use evidence and the perspectives of all individuals to improve their response to social problems. Understanding strengths and weaknesses is crucial and should be occurring solely within individual agencies. A collaborative, non-siloed community is needed to respond to the complex structural factors that affect the health and wellbeing of sexual and gender minority individuals. Therefore we must learn as a community and work together in order to make a real impact. Evaluation has become a central activity in the effort to achieving health equity. By systematically measuring the implementation, outcomes, and lasting impact that tailored programs and interventions have on those they attempt to serve, we are able to make data driven recommendations to improve and/or scale activities. Rigorous evaluation is necessary to determining the efficacy of interventions to ensure limited resources as efficiently as possible to improve the health and wellbeing of sexual and gender minority populations. With the growing array of data sources collected by healthcare providers, researchers, and health departments, such as electronic medical records, survey data, and epidemiological surveillance data, it is exceedingly important to develop methods to integrate these data in meaningful ways. While university based research centers and hospitals are uniquely positioned to be able to have significant impacts on population health, we understand that for marginalized groups like the SGM community, community based organizations and health centers are on the front lines of truly improving their health and wellbeing. By building capacity at these organizations to better plan, implement, and evaluate their programs, we can have a truly lasting impact on the community we are dedicated to serving.